Marijuana is medicine, and can even reverse munchies | Jon Katz, P.C. Marijuana is medicine. GW Pharmaceuticals is among the business world members confirming as much. 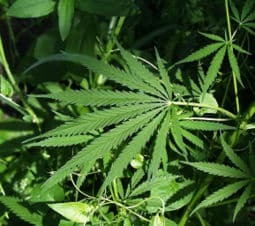 Now, ironically, the plant that brought us munchies (and, thus, vital relief to chemotherapy patients who otherwise have trouble wanting to eat and keeping food down) has been re-processed so as to curb appetites in the pursuit of weight loss. As GW Pharmaceuticals’ Managing Director Justin Gover tells it: "The cannabis plant has 70 different cannabinoids in it, and each has a different affect on the body." "Some can stimulate your appetite, and some in the same plant can suppress your appetite. It is amazing both scientifically and commercially." More important than helping weight loss, GW Pharmaceuticals also produces the cannabis-based Sativex, which reduces spasticity in multiple sclerosis patients. With all the strong evidence about marijuana’s medicinal benefits and with a Democratic-controlled Congress, now is a particularly good time to push for further reform of marijuana both on the medical and recreational use levels. Jon Katz.